Singapore is a food lover’s paradise, known far and wide as one of the best places to find food from all over the world. Thanks to the four main races of Singapore — the Malays, Chinese, Indians, and Eurasians — and also the numerous foreign residents from all over the world, diverse cultures are brought together and harmonize in this melting pot. The food is so good here, many expats who originally come here for business made it a pull factor for becoming Permanent Residents and settle down right here. Unique to Singapore and some other countries in the Southeast Asian region are hawker centres. These are open-air complexes where many different food and beverage stalls set up shop, and each shop specializes in a type of cuisine. The food served in hawker centres are basically the equivalent of local street food but in a more organized and hygienic set-up. Also, it is almost always very affordable. If you’re looking for local Singaporean food, hawker centres are where you should start. But wait — what are the best Singaporean foods that you should try? 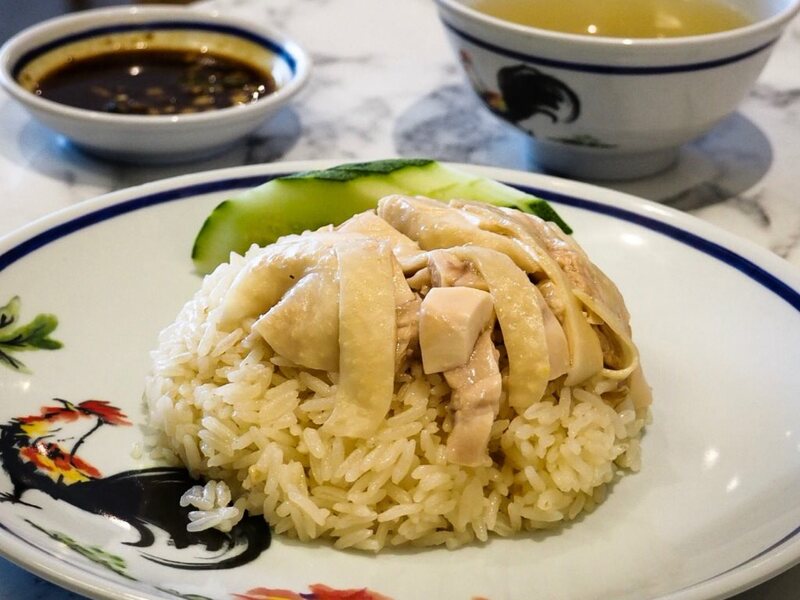 One of Singapore’s most well-known and well-loved dishes, chicken rice originates from the Hainan province of China and was brought to Singapore by Chinese immigrants. Today, it is considered one of Singapore’s national dishes and is very commonly used as an example when discussing Singaporean cuisine. In fact, no hawker centre is complete without a chicken rice stall. As the name suggests, the dish consists of cut chicken strips over a plate of rice, but it’s more than that. Traditionally, steamed chicken is used, though now roast chicken is also an option — purists will tell you that steamed chicken is the one true way, but you’re free to let your palate decide. The rice is also seasoned with spices like garlic and ginger, and many consider the rice to be the most important aspect when taste-testing chicken rice. It is almost always served with chilli sauce made from red chillies and garlic and sometimes served with soup made from the chicken bone stock. It’s a must-try if you’re in Singapore, and you definitely will not be disappointed. This dish is a prime example of what happens when different cultures live together in harmony. The name Roti Prata has Malay origins, but this is actually an Indian dish, and it is beloved by everyone and every race. This is true racial harmony right here on a plate. Roti Prata is made from flour, water, and ghee — a type of fat commonly used in Indian cooking. The ingredients are mixed into a dough, and the dough is kneaded out and fried. It can be quite a sight to see the ‘prata man’ kneading and flipping the dough, similar to how Italian chefs do with pizza dough. When the prata is cooked, it resembles a pancake. You can add various fillings and toppings to it — cheese, eggs, mushrooms, onions, or even sweet treats like chocolates and strawberries. The savoury pratas are usually eaten with fish or chicken curry, and young children love to sprinkle sugar onto prata to avoid the spicy curry. This traditional Singaporean breakfast is so delicious, you’ll often see long queues at hawker centre stalls or independent retail stores on weekday mornings when people need to grab a bite before work starts. Fluffy white bread is toasted on a grill, and once nice and crispy, kaya — coconut or pandan jam — is spread onto it. This is accompanied by soft-boiled eggs cracked onto a plate, and have a nice half-solid half-liquid texture. Many people choose to add dark soya sauce and powdered white pepper to the mix and dip their toast in. The result? A flavour-bomb of sweet and saltiness exploding in your mouth, which makes for a very satisfying breakfast. Yet another Indian dish that has been given the multicultural Singapore treatment is Fish Head Curry. A whole fish head, usually from a Red Snapper, is stewed in a pot of Indian- style curry containing vegetables like ladies’ fingers and brinjal. This dish is usually big enough to be shared by a group of three or four, and it is commonly eaten with white rice or some white bread which can be used to soak up the curry gravy. Originally created as a South-Indian style dish, many Malays, Chinese, and even Peranakans have adapted the dish to fit their own tastes. For example, the Indian style of curry contains more spices and has a stronger taste, while the Chinese make their curry to be sweeter and not as heavy. This dish is usually the one that most foreigners rave about, and they can’t wait to come back and get another taste. Touted as another signature national dish, chilli crab was created back in 1956 by a local couple who started selling stir-fried crabs mixed with chilli from a pushcart. Since then, chilli crab has become a Singaporean speciality, with seafood restaurants all over the island offering it. Mud crabs are first boiled before being fried with chilli and tomato sauce, along with other spices. It might have chilli in its name, but chilli crab is more sweet and sour than spicy. Usually eaten using bare hands, and using a crab cracker tool to crack open the hard shells. Fried buns called mantous are also dipped into the chilli gravy to soak up all the gooey goodness.